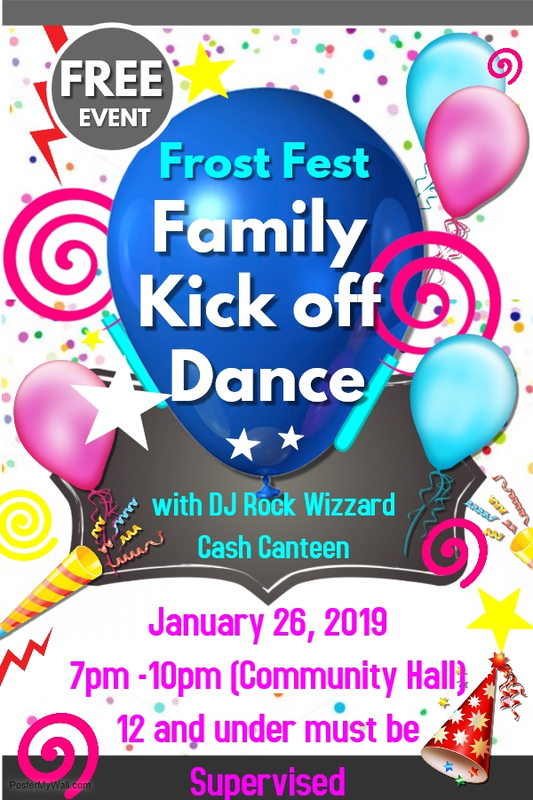 FrostFest is celebrating 25 years in 2019! 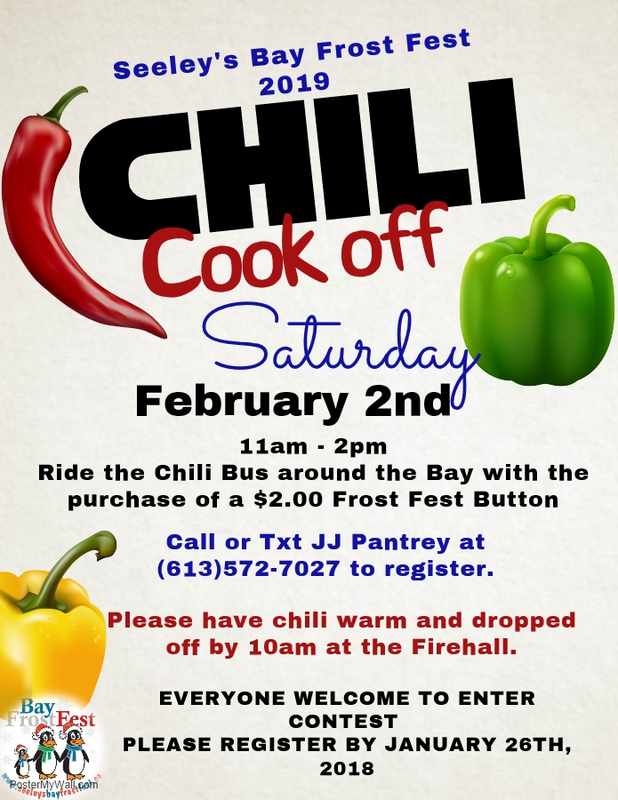 Come join us on February 1st, 2nd, and 3rd for a celebration of a good old-fashioned Canadian winter, complete with wagon rides, skating, snowman building, a chili cook-off, fireworks, and a comedy show, plus plenty of great food! 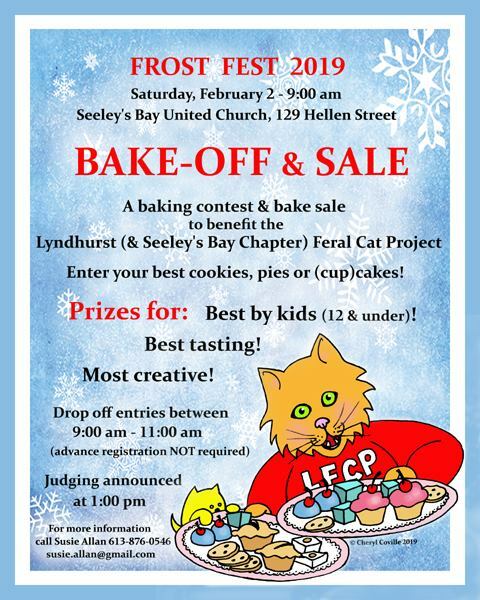 Our goal is to provide a full weekend of family-oriented fun and to raise funds to enhance community life in Seeley’s Bay and the surrounding areas. 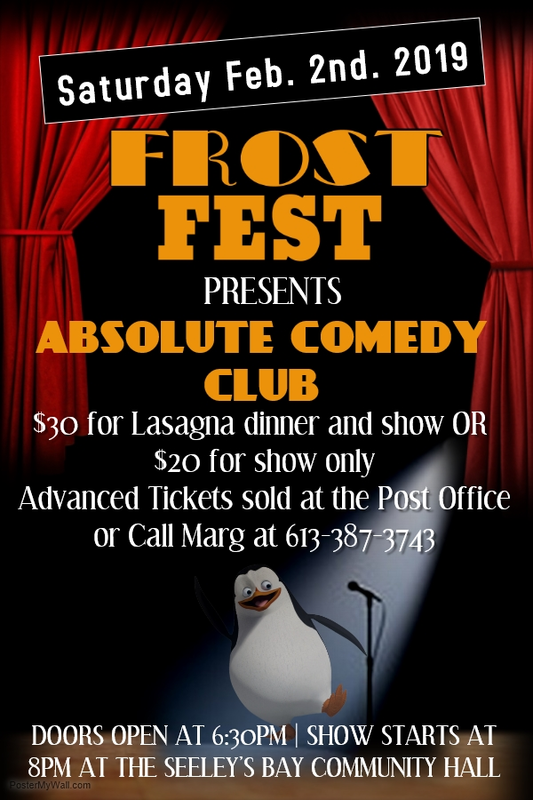 In the past 24 years, FrostFest has donated $71,900 to support local community programs and initiatives, and we’re hoping to make our 25th year the biggest one yet! If you’re interested in helping to support FrostFest, you can take part by volunteering to assist with one of our big events – even an hour or two of your time would make a big difference! We’re also currently accepting item donations for Saturday’s Silent Auction, small prizes for the button draws, or financial support – any help you can provide will allow us to do more for the community. Drop off at the Post Office with Karen.